I would say that my biggest fault is I put way too much on my plate. I want to do all these super awesome things, but time is finite. I am trying to do a better job of time management. I am trying to go from multi-tasking on 50 projects to single-tasking and finishing projects in a timely manner as well as prioritize so the super important thing don’t get skipped. To finish off this I want to share my productivity tools with you. Remember the Milk – Best todo list on the web. Google Calendar – Best calendar for personal as well as collaborative use. 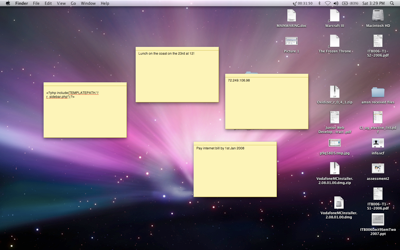 Virtual Post-Its – Need to make a quick note, these are perfect. Built into Macs (Widgets) and Windows 7 (Stickies). 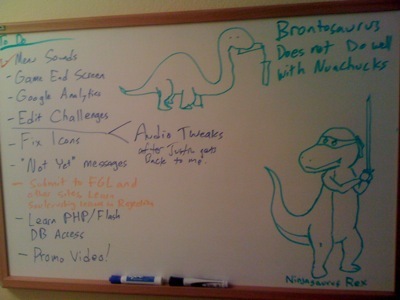 Whiteboards – Nothing beats a good whiteboard. Quick, easy, and highly visible. Totally know what you mean. I also put way too much on my plate, which then spreads me out so thin that I can’t do any of those things with excellence which causes another problem because I’m also a perfectionist. Really, I’ve just had to learn to say “no” sometimes. Previous PostPrevious On Sought-after Superpowers. Next PostNext On My Most Influential Year in School.